When Jean-Philippe Rameau premiered his first opera, Hippolyte et Aricie, at age 50, opera audiences were stunned. His brilliant orchestration, dissonances and virtuosity delighted many, while others were appalled by his lack of deference to his great predecessor, Jean-Baptiste Lully. By its third revival in 1757, the opera was still controversial, but tastes were evolving as listeners sought clearer lighter textures. 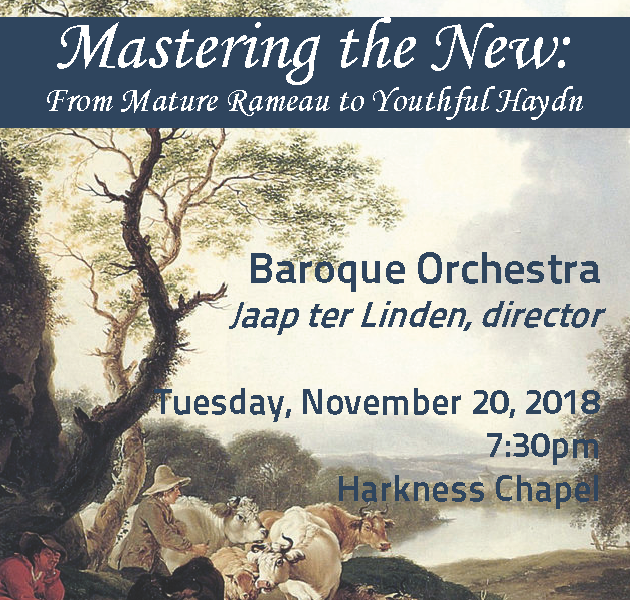 That same year, Joseph Haydn, age 25, took up his first job as music director, and shortly thereafter he began exploring these textures in new genres, particularly the string quartet and symphony. The juxtaposition of these two maters’ “new” styles in one concert is revealing, capturing the best of two musical worlds. Free and open to the public. Paid parking available in the Ford Avenue garage, the Severance Hall garage or at the meters along Bellflower Road and East Blvd.